Manhattans by the Pitcher Study. Oil on panel, 6" x 6". $125. Sold. I'm back from the Bend/Sausalito trip, and it was a great experience. I met lots of fun new customers and many paintings found new homes. And of course, I tried new cocktails! I'm super excited about a new drink I discovered at the Dogwood Cocktail Cabin in Bend, Oregon. More on that later, but in the meantime, a few of my favorites are still looking for love. 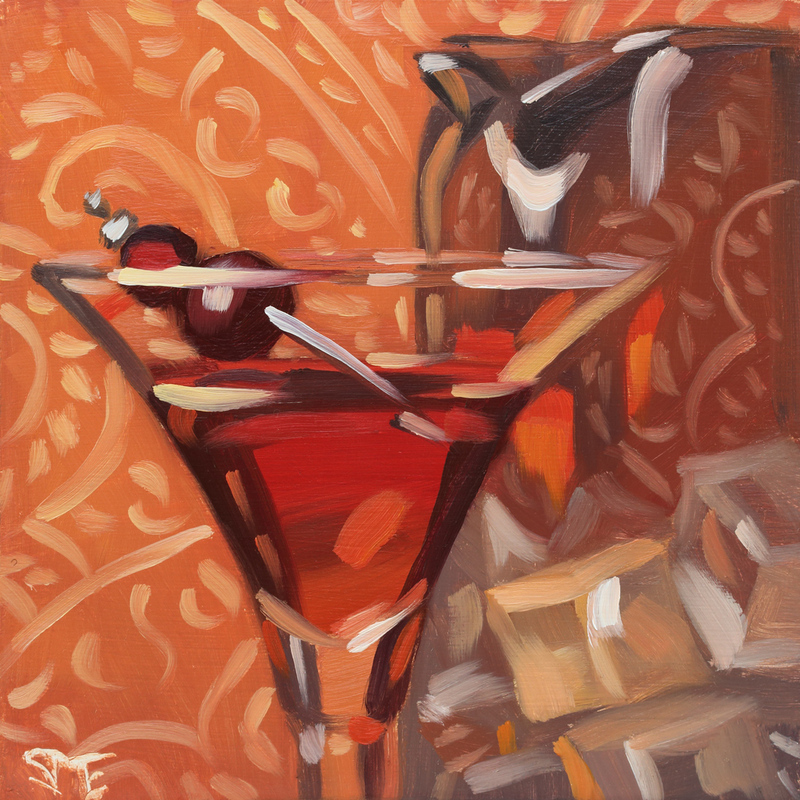 This sweet little Manhattan painting is now available at my Daily Paintworks Mixology Gallery. I'll post more over the next week or so, along with new paintings for Mixology With a Twist.